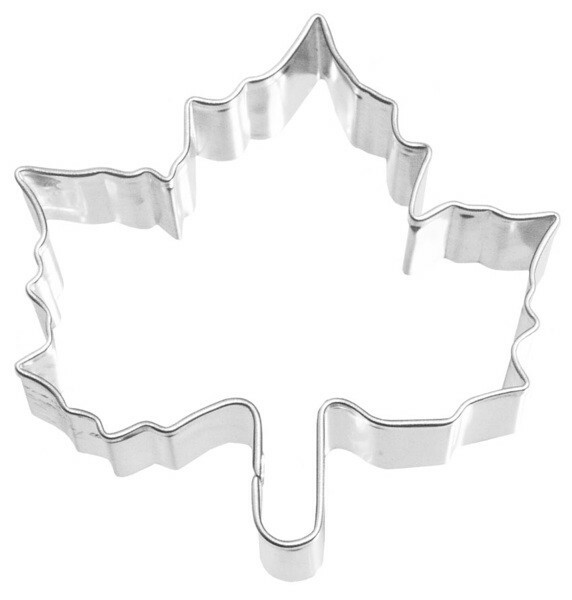 Paste-cutter in stainless steel with the shape of a Maple leaf, for biscuits, shortbread, decorations of cakes with sugar paste or plastic chocolate. Very fit also for carving fruit and vegetables. Dimensions 6 x 6,7 cm.